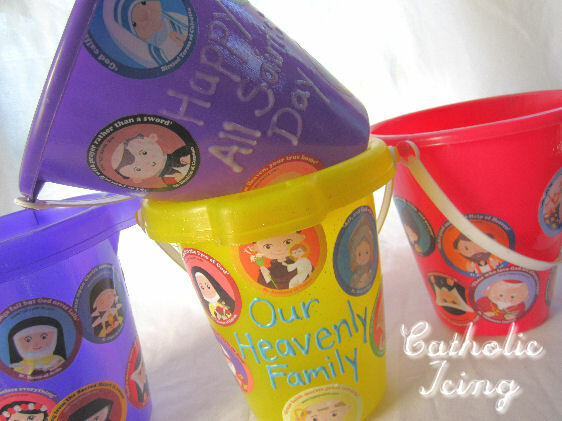 Check out these 'Happy Saints' buckets at the Catholic Icing blog, a wonderful place for feast days ideas! 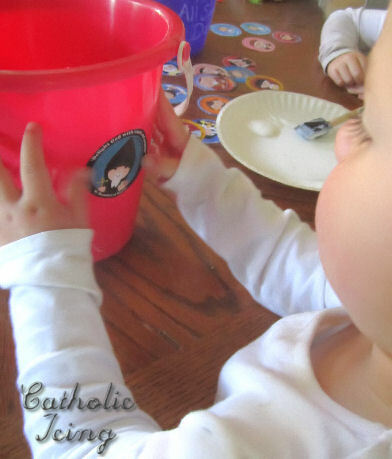 We really loved this saint bucket idea, and of course, your images take the cake. 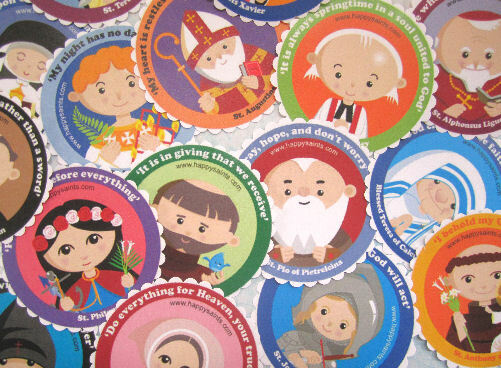 We just printed some out to make our own. Thanks for doing this. What a great way to use your talents. Love your work. 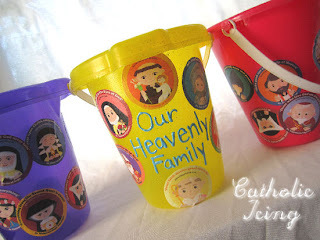 That's wonderful, Roselady, God bless U and yr family!